Today I’m going to talk about what I like to call “curb appeal,” how to improve the appearance of your home on LinkedIn, which is your LI profile. Next week, I’m going to talk about strategies for making the most of LI. In other words, once you have an attractive home on LI, how you can invite people into your home and how you can go visit other people’s homes. This should be a professional headshot of you. There shouldn’t be anyone else in the photo and the picture should be close enough and clear enough that someone could find you in a crowd based on your LI photo. I recommend updating your photo about every three years; more often if you’ve undergone significant change such as a drastically different hairstyle or large weight loss. You don’t have to incur the expense of a professional photographer, although it’s a good idea. When I worked in higher education, the campus photographer was glad to do a headshot for me – I needed them anyway for other work-related purposes. Your photo should be appropriate to your industry and profession. You should look like someone a stranger would be willing to reach out to. Your LI profile came with a stock background photo that looks like a constellation. I recommend changing this to be in line with your professional brand. In other words, if you’re an avid surfer, your background photo should not be of the waves in Hawaii unless you’re also a surfboard sales person. As an alternative, you can use an illustration in the background that you like. It doesn’t represent your brand or profession, but doesn’t detract from it, either. When I am doing this for my clients, I select four photos from pixabay.com and try each on my client’s profile. This way, I can see which one works the best with the client’s photo, brand, profession, etc. Your headline is the statement directly underneath your name on your profile. You have 120 characters for your headline, and most people completely waste this valuable real estate. You can include your current job title and employer, but keep in mind that your employer’s name shows up in that top box anyway. And if you’re looking for a new job, what good does it do to cement your current employer with recruiters? Including your job title is important for SEO purposes, especially if the work you want to do next is in line with your current job title. Otherwise, you’ll want to figure out how to get your new desired job title in there without being overt. Here’s an example: Let’s say you currently have the job title of Customer Service Representative, but what you want to move into is sales. Here’s another example: You are currently an Assistant Manager of a hotel restaurant, but you want to move into the reservations side of the hospitality business. Notice that you didn’t mention the restaurant, because that’s not what you want to do moving forward. You have approximately 1,980 characters for your summary, and most of you are using only a fraction of that, if any at all. This is your chance to tell your story, and it SHOULD NOT BE a cut-and-paste of your resume. Your summary should be written in first person, using language you would use if you were telling a colleague about your career. Tell them a bit about your background, what you’re currently up to, some of your achievements, and a bit about you personally. I include this personal information at the end, before the Skills list I will talk about next. It is only one-two sentences but can be impactful in rounding you out as a person and giving the reader something else to connect with you on. I’ve included information about travel, hobbies, philosophy, influencers…as long as the information is neutral or positive. I also encourage you include a Skills list at the end of your summary, as this is great for SEO. Note that these terms should match your Skills and Endorsements section verbatim, otherwise recruiters won’t be able to search for the terms you use. Many of you are listing only your employer, job title, and dates of employment in this section, which greatly reduces your SEO effectiveness. Again, this should not be a cut-and-paste of your resume, but rather the story of your work. Talk about some challenges you overcame, some metrics around your achievements. This information is factually the same as your resume but written in first person using a more conversational writing style. Finally, I see so many LI profiles where this section is all about the employer rather than the person. Unless you’re self-employed where your business and you are one and the same, like me, this doesn’t make any sense. You need a minimum of 500, but don’t stop there. The more the merrier, with a few caveats. If you have fewer than 500 connections, I recommend going for quantity over quality. Ask people you either already know or are at your level to connect with you to quickly get that number up to the magic 500+. At that point, you will have the “creds” you need to reach for higher-hanging fruit. The other person will see you as a serious player on LI and will be much more likely to connect with you even though they don’t know you. 7. Your Skills and Endorsements. This section is primarily useful for SEO purposes. I recommend you review this section annually to make sure it is still an accurate reflection of the skills you possess and want to present to potential employers. By far, this is most underutilized and potentially most helpful aspect of your profile. This is when people who have worked with you in some capacity take the time to write great things about the experience of working with you. LinkedIn recommends a minimum of three recommendations; I like you to have at least 10.
a. What are my brand attributes? The aspects of me I most want to present to the world? I’ve thrown a lot of “home improvements” at you today for LI, so if you’re feeling overwhelmed, let’s break it down. -Set aside a block of time (I recommend at least two hours) to tackle the list you came up with in step #1. -Ask a trusted friend to review your changes and make suggestions for further improvements. Want to speak with an expert about your career/job search goals? 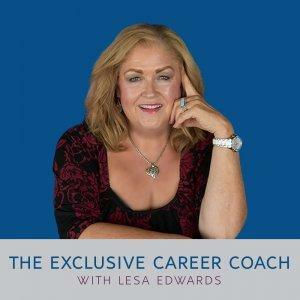 Need help figuring out what’s holding you back from achieving your dream career? Let’s talk. Here’s the link to schedule a 30-minute consult call with me: www.timetrade.com/book/D6KLN. Hope to see you soon!